Since 1955, Hercules Fence has been providing professional service and quality residential and commercial chain link fence installation throughout Northern Virginia. If your Newport News home or business would benefit from the addition of a new, durable galvanized or vinyl coated chain link fence, please contact Hercules Fence today. This is the workhorse of the fence industry and is available in multiple grades and strengths. And special sizes are no problem. Galvanized chain link fences are incredibly durable and, perhaps most importantly, incredibly affordable. 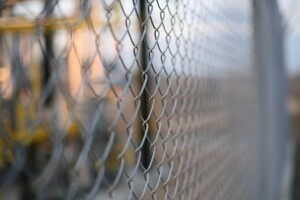 Galvanized chain link is one of the most effective ways to fence your yard. If you want a more aesthetically appealing option that won’t break the bank, vinyl coated chain link is the way to go. This product is becoming very popular because it offers the security and affordability of chain-link fence together with the attractiveness of a vinyl coated finish. That’s what we like to call a win-win! Standard colors are black and green, although custom colors are available for an additional fee. Homeowners and business owners know the many benefits a new fence can bring to their property: security, value, and curb appeal, just to name a few. Unfortunately, some just do not have the budget for elaborate fencing. The solution: chain link. Chain link fencing is a practical, budget-friendly fencing choice! With a chain link fence from Hercules Fence, you can have an economical answer to your fencing needs. A chain link fence is one of the most affordable fencing options available to you. Chain link is designed to stand the test of time. This is exceptionally important for business owners and homeowners who value security. If you have any questions about Chain Link Fence Installation, you can contact Hercules Fence of Newport News, Virginia today by calling (757) 316-3600 or visit FencesNewportNews.com today! We are the largest fence company based in Northern Virginia. You can also follow Hercules Fence on Facebook, Twitter, Google+ and YouTube. This entry was posted on Friday, September 26th, 2014 at 4:51 pm. Both comments and pings are currently closed.